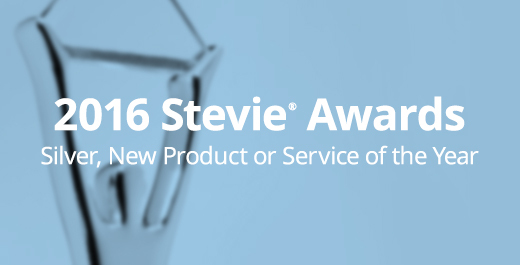 SILICON SLOPES, Utah – May 11, 2016 – Domo today announced it has been named a winner of a prestigious 2016 Silver Stevie® Award for its cloud-based business optimization software. Winning in the category of New Product or Service of the Year for Software – Cloud Platform, this is the third consecutive year The Annual American Business Awards has recognized Domo. Domo’s winning platform gives executives across an organization the ability to make faster and better-informed decisions to improve business performance. In addition to the intelligence and automation built within the platform, Domo sets itself apart through its seamless user-experience that enables users to quickly get value from their business data, with minimum strain on IT resources. More than 3,400 nominations from organizations of all sizes and in virtually every industry were submitted this year for consideration in a wide range of categories. More than 250 professionals worldwide participated in the judging process to select this year’s Stevie Award winners. Domo helps every employee – from the CEO to the front line worker – optimize business performance by connecting them to the right data and people they need to improve business results. The company is backed with more than $500 million from the world’s best investors and is led by a management team with tenure at the world’s most well-known technology companies.